CLOSEOUTS. With its slash-resistant straps, locking zippers, RFID-blocking technology and a plethora of pockets, Travelonand#39;s Anti-Theft LTD satchel is a must-have for daily commutes and long-distance travels. 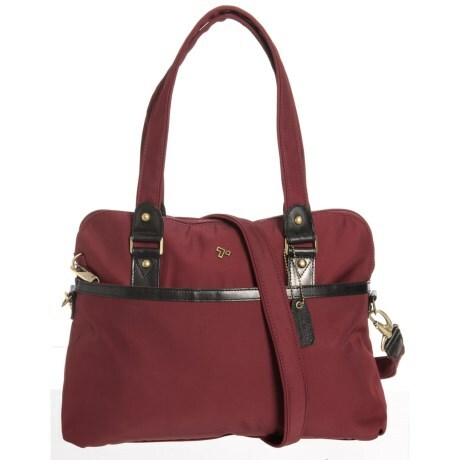 Available Colors: BURGANDY, BLACK.